Perfect for a special occasion, this is a strikingly elegant bracelet. Carefully crafted with 9ct white gold, the bracelet features a double row design adorned with sparkling 2ct total of diamonds. 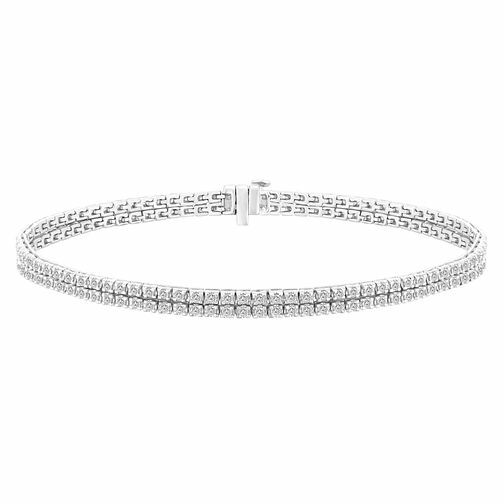 A strikingly elegant diamond bracelet crafted from white gold.